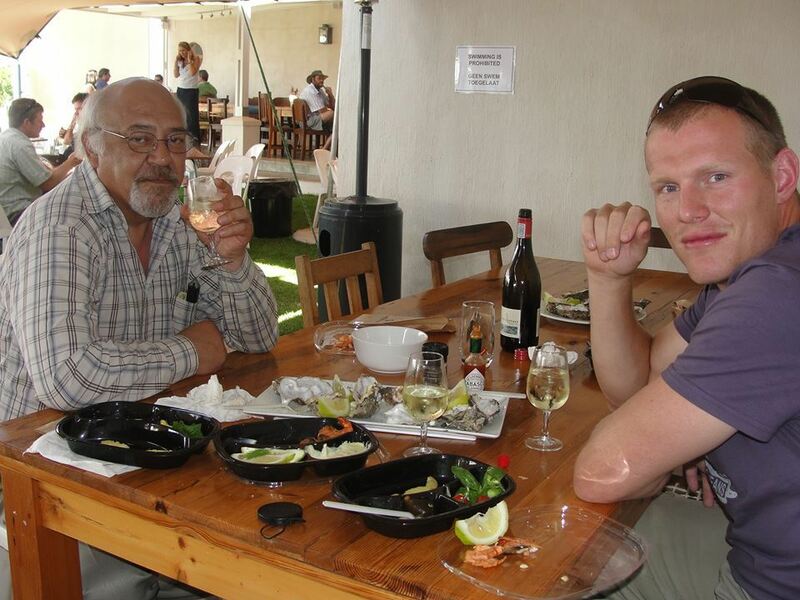 My dad, Charles Frederick Mijnhardt, passed away in hospital on September the 24th 2014, Heritage Day in South Africa. I had never really realized the significance of this, other than remembering that I was still in bed (it’s a public holiday) when the call from my aunt came through. When I saw her name on the screen of my mobile phone, I instantly knew what news I was moments away from receiving. Of course I knew, for my dad had been so sick for so long, and had been in and out of hospital for several months. I had been to visit him in hospital three days earlier and, while he still looked quite frail, he was in fantastic spirits and commented that it was the best afternoon that he had had in months. We sat in the sun in front of the hospital cafeteria, laughed and joked. At some stage, he excused himself and spent some time speaking to his lawyer and best friend in private. He was finalizing the details of his will, you see. He smiled his gentle smile, so full of love and kindness in spite of the tremendous suffering he must have endured, and we said our goodbyes. I didn’t know that it was to be our final goodbye, but I’m convinced that he knew. There was a look of peace and acceptance in his face. But here’s the thing about losing a loved one. You’re never really quite ready. Even if it was expected, as in my dad’s case, there’s still a powerful and overwhelming sense of shock and grief. Today, exactly three years later, the sense of loss is greater than ever, and it is through a haze of tears that I write this. As I said earlier, I had never truly realized the significance of my dad dying on Heritage Day. That is, until today. Everything that I am (in other words, my heritage), and everything that I aspire to be, I owe to my dad. His sweet, gentle nature, his good cheer in the face of pain and hardship, his incredible generosity, these are the gifts that he left me, and I couldn’t have asked for more. When I think of my somewhat rebellious nature and general disdain for conformity, these are the things that, to my mind, perfectly sum up my dad. I also inherited his sense of humor and his love for off-center British comedy, as well as a burning passion for all things related to literature. In fact, virtually every last book in my considerable collection once belonged to this man who, although he was an attorney by profession, would always regard language as his first love. My dad may have died on Heritage Day, but his legacy lives on in my adoration for the written word, in my eldest sister’s enjoyment of fine red wine and laughter, and in the youngest’s dark, secretive eyes that speak of great passion and great wisdom.